As another year turns, it is helpful to remind myself that TFC is simply about inspiring and getting home cooks to cook more. 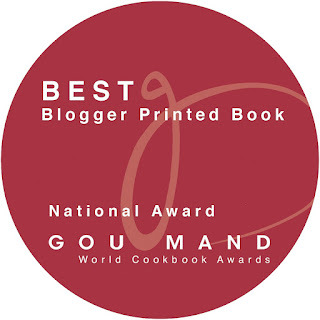 To this end, I am surprised (though I shouldn't be) at the role of ink and page (still) in inspiring home cooks to translate their reading into cooking. That is good to know. Well, another CNY is coming. What are you planning to have on your Reunion table? I know you are gawking at those advertised pictures of pencai and roast meat and wondering about what you should be ordering in for your Reunion Dinner. You have to be realistic about how good some of these commercial dishes can be, given the rush of CNY season and the mass cooking approach. You are not likely to get what you see...WYSINWYG! I think restaurant eating has conditioned our minds (and that of our family members) to expect certain types of food and standards to grace the Reunion table. This is just my opinion, but unless you are planning to plate each dish restaurant style, it makes little sense to go for "superior" dishes as all the sauces will be mixed up when diners pile in from dishes on the Lazy Susan. In fact, learning from past CNY experiences, these days I do not even bother to prepare superior sauces or stocks unless I'm sure that diners will be able to appreciate the finer touches. It is the simple unpretentious home-cooked comfort food which often makes a Family Reunion Meal memorable. If you are Nonya, Kari Ayam Kapitan (basically curry chicken) and Chap Chye (braised cabbage) can be the way to go. If you like Buah Keluak without fuss, you can buy those prepared from Tekka Market. 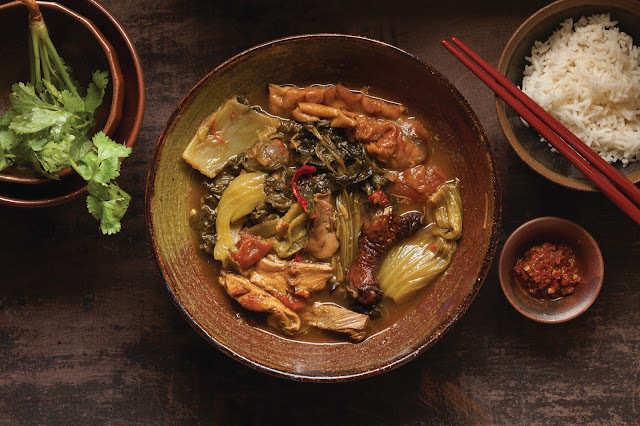 For some Hokkiens, a good Tau Yew Bak dish is a Reunion faithful. Hakka folks have their Hakka Deep Fried Pork and it is difficult to go wrong with this simple but delicious recipe. And then, there are the "treasure" dishes. These are often cooked from dried seafood or vegetarian produce. You should stock them in advance and this is the week to do it if you have not started yet. Prawns freeze well and you should be buying them soon. A chicken dish, a pork dish, 2-3 veg dishes and you will have a memorable comfort meal. Perhaps order in a roast duck if you need to. Mee Siam, Fried Bee Hoon, Curry Rendang, Acar etc have all graced our SingMal homes for a few gens. Don't give them up for some dishes which look like those you eat at Chinese Wedding Dinners. And when you have leftovers, who can say no to Choi Keok? 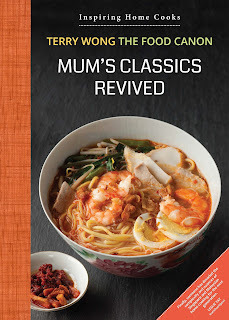 Most are found in the cookbook precisely because they were my Mum's classics. We are cooking tradition here. I hope this article will get you into a CNY cooking mood. Most of these recipes are also found on this blog. Check out the recipe index. For other helpful CNY cooking articles, go here. One of our past CNY Reunion dinners.